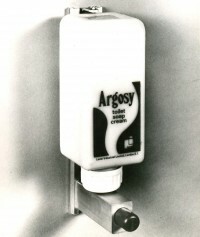 Brightwell Dispensers Inc. is the American sister company of Brightwell Dispensers Ltd, a global designer and manufacturer of innovative soap, paper and chemical dispensers and dosing systems. Brightwell Inc was set up in 2011, and after two years of rapid growth, it opened a distribution warehouse together with a training centre and quality control facility in Lenexa, Kansas. Brightwell Dispensers Inc. is the sole distributor of the Brightwell range of products on the US market. Andy Lewis, Vice-president of sales and main representative of the group in the USA is one of the most knowledgable, customer focused and diligent businessmen in the industry. Through his almost 20 years of extensive experience gained at Brightwell's headquartesrs, 15 of which he spent as part of the design team, he has a strong sales and technical background. 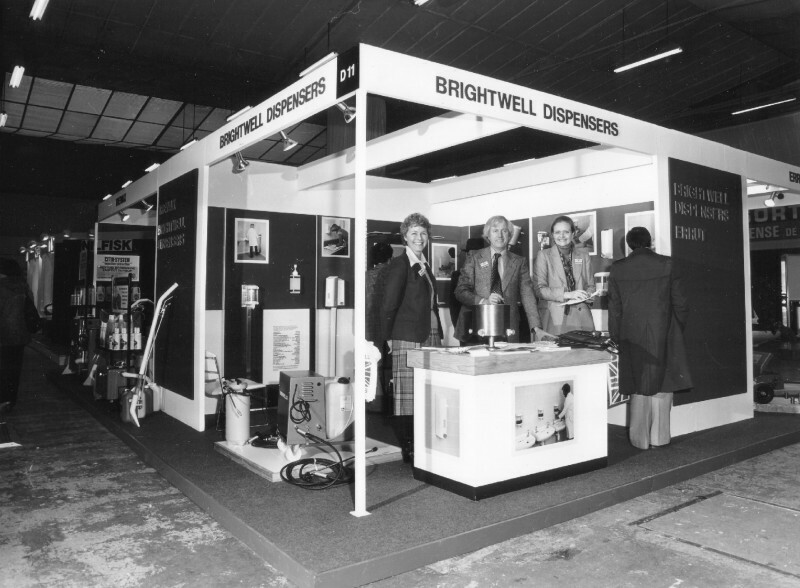 Since its creation in 1947, Brightwell Dispensers has gained a strong reputation as a reliable provider and partner for paper and chemicals manufacturers, janitorial companies, dishwasher and washing machines providers and international corporations. It has always been proud to be a successful family business driven by values. This is why the company's headquarters, innovation center and primary manufacturing facilities are still based in the UK where it all started. 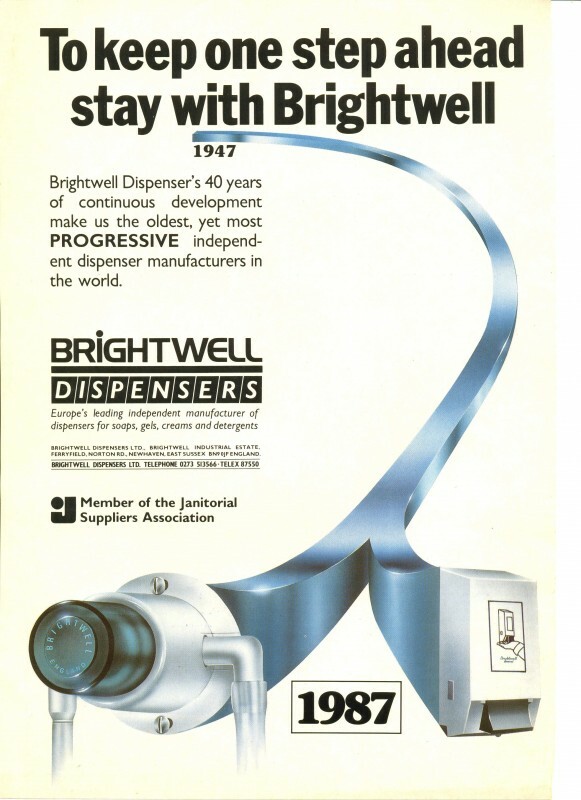 Brightwell Dispensers exports to 85 countries worldwide, supported by a network of exclusive distributors. Its product ranges cover all hygiene environments such as away-from-home washrooms, healthcare and leisure facilities, on-premise and industrial laundries and professional kitchens. As an active member of an ever-changing industry, Brightwell Dispensers has always made it one of its missions to remain forward-thinking and to keep designing new products despite the great success of its existing ones. Always a step ahead, the company's dosing systems and dispensers are some of the most advanced in the industry. Besides, in-house design and manufacturing as well as thorough quality control during the entire process of product development and production enable Brightwell Dispensers to offer a quick, flexible service while ensuring product excellence. In 2011, Brightwell Dispensers was incorporated to the Bright-Tech Investments group, along with WSM Plastics. In 2012, the company received the international certification ISO14001 which recognizes businesses' environmental management system. It was added to Brightwell Dispensers' existing ISO9001 certification which sets out the criteria for a quality management system.